No matter what your profession, as a performer, your need for approval from others will interfere with doing whatever you need to in order to make an impact or reach your goals. For sales managers, a need for approval makes difficult conversations even more difficult. What constitutes a difficult conversation is different for everyone. What one persons finds amusing, another might think is disgusting. But if there is one thing you can bet on, it’s that talking about things like money and rejection are among the most difficult for most of us. And those are the very conversations a lot of sales managers must have with their salespeople. But because they are so difficult, a lot of sales managers avoid those accountability type of conversations, or are overly timid when they are forced to have them. The belief that you need the approval of your salespeople will not just make difficult conversation even more uncomfortable, it will also make them incomprehensible because you won’t ask enough questions. 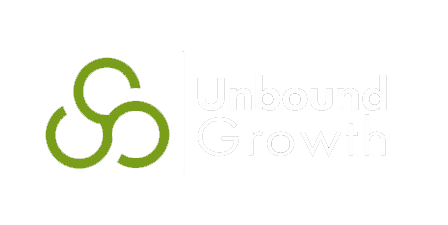 The very same ‘show up and throw up’ approach you chastise sales people for is exactly what you are doing to them! Can you just imagine what happens when a manager who is recruiting for salespeople and has a need for approval acts during the interview? Have you ever seen that needy someone trying to pick someone up at the bar? Yeah, like I tell my sons- you aren’t likely to meet that special someone at a random bar. You might pick up something, but it will probably require some severe and expensive antibiotics later… and you won’t be the only one to suffer. Because like any virus, it will spread. 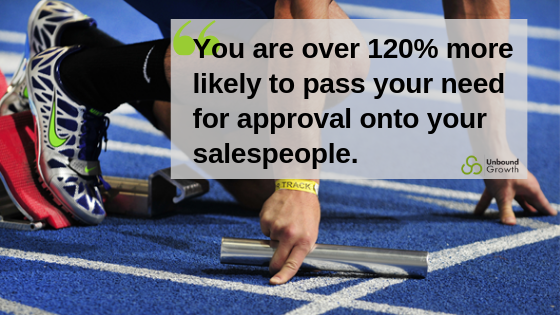 You are over 120% more likely to pass your need for approval onto your salespeople. Like a bad flu virus, it will knock your salespeople out when it comes to them being able to ask tough question of buyers and block them from getting to decision makers. When salespeople aren’t able to do these things, they aren’t pushing back on prospects when appropriate, or challenging the status quo. If you want your team to sell conservatively on value and not price, then this is one area you can’t afford to overlook. But how bad of a fludemic is a need for approval in sales managers? According to the data from Objective Management Group, 38% of sales managers struggle with a need for approval. It also showed that if a sales manager doesn’t have a need for approval, the team is 32% less likely to struggle. Managers with a need for approval are passing it along to their team with alarming results. It’s a fludemic. It’s time to get out the echinacea and elderberry syrup to start strengthening your immune system against the need for approval virus. Now, how do you start to condition yourself to not give a crap what others think of you, but also balance that with not becoming a sociopath? Step 1- Self reflect on where it is coming from. What events or conversations trigger your need to seek approval from others? Step 2- Identify what is on the line. If you don’t have the difficult conversation, or even ask the hard questions- will it prevent you from being honest? Will it be a disservice to the salesperson that you are trying to help? Step 3- Triage your thoughts and what they mean to you. Step 4- Apply some logic. Nope. Sun still came up, didn’t it? Heck, isn’t it also possible that things got better after that? Step 5- Adopt a growth mindset. Nothing is forever- we are all works in progress and in constant change. Haven’t you gotten upset before and months later been able to laugh it off? Didn’t you learn something from it? Focus on the process, not just the outcomes. Step 6- Seek respect, not approval. I bet you can imagine a teacher, or a boss who you might not have liked much, but you respected what they had to say. The operative word there is practice. The best way to overcome fear, anxiety, or anything uncomfortable is to expose yourself to through practice. If you have identified triggers or events that are a cesspool of possibilities for your need for approval, practice either through role play and/or putting yourself into those situations. This could mean practicing on your friends, family, or every day events like sending that dish at the restaurant back because you don’t like it. Join us on the next #livesalesmanagementlab! These labs are held on Mondays at Noon EST for just 30 minutes! Click below to learn more about the upcoming lab and to reserve your spot.